Migraine headaches are one of the 20 most disabling medical conditions worldwide, according to the World Health Organization. A migraine is characterized by a throbbing pain, usually confined to one side of the head, that tends to get worse with movement. They typically last from four to 72 hours. Symptoms tend to vary from one person to another. People often experience sensory warning signs, such as blind spots, flashes of light, increased sensitivity to light and sound, tingling in the arms and legs, nausea and vomiting. Signs like irritability, food cravings, a stiff neck, constipation and frequent yawning may also occur a couple of days prior to a migraine attack. 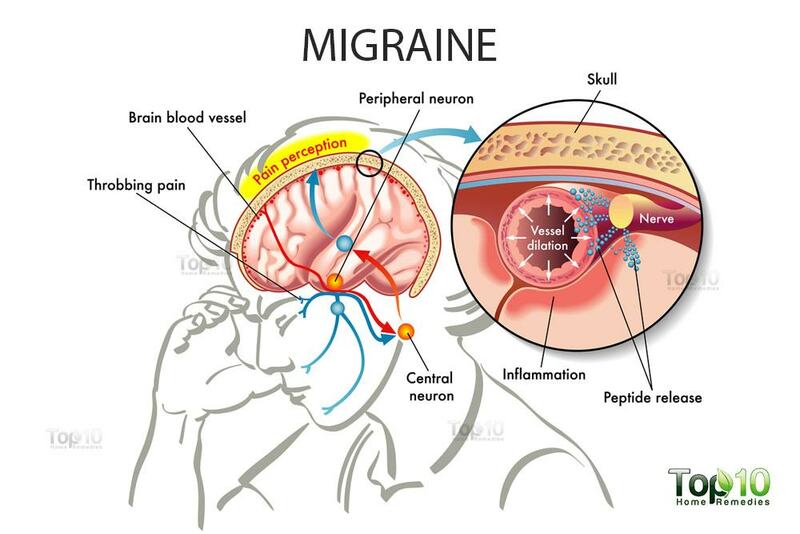 About 75 percent of all migraine sufferers have a family history of this debilitating problem. The complex condition is thought to be caused by changes in brain chemicals. Some potential triggers for a migraine are allergies, stress, smoking, alcohol, bright lights, loud noises, strong smells, skipping meals, dehydration, irregular sleep, poor posture, low blood sugar and hormonal fluctuations. Though there is no known cure for migraines, you can try some natural home remedies to get relief from migraine headaches and reduce their frequency. Here are the top 10 home remedies for migraines. Being a nutritional powerhouse, apple cider vinegar helps reduce migraines. Apple cider vinegar also offers health benefits like aiding detoxification, controlling blood sugar, regulating high blood pressure, reducing bone pain, promoting weight loss and relieving constipation. Add one tablespoon of organic apple cider vinegar to a glass of water. If you are not used to taking apple cider vinegar, start by taking one teaspoon and gradually increase the amount. During migraine attacks or when you feel them coming on, you can take two or three tablespoons. Using an ice pack is perhaps the most popular home remedy to get rid of tension as well as migraine headaches. It has a numbing effect that alleviates pain. Wrap a few ice cubes in a clean towel and place it on your temples, forehead and/or the back of your neck for 10 to 15 minutes. Repeat as needed. You can also try alternating hot and cold compresses for about 15 minutes, as needed. For better results, add lavender and/or peppermint essential oils to the water for the compress. The anti-inflammatory property of peppermint helps soothe the nerves. Plus, it has an antispasmodic and calming effect. A study published in the International Journal of Neuroscience in 2008 found that the fragrance of this herb induces the feeling associated with headache relief. Simply drink peppermint tea sweetened with honey. Repeat as needed. You can also massage each of your temples with one drop of peppermint essential oil or a combination of peppermint and lavender oils. Leave it on for at least 20 to 30 minutes. Do this a few times a day until you get relief. 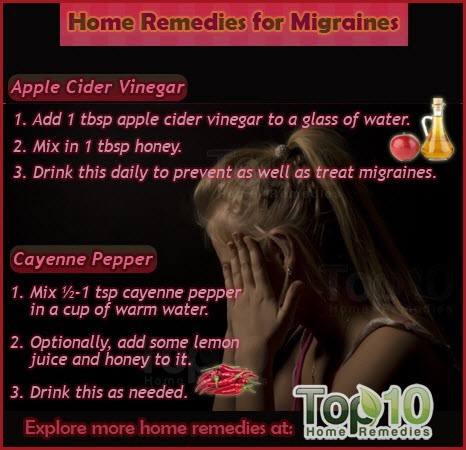 Cayenne pepper is a great home remedy for migraines because it stimulates circulation and improves blood flow. Plus, it contains capsaicin, a compound that works as a natural painkiller. Mix one-half to one teaspoon of cayenne pepper in a cup of warm water. Optionally, add some lemon juice and honey to improve the taste as well as health benefits. Chamomile has anti-inflammatory, antispasmodic, and soothing properties that help relieve migraines. Regularly drinking chamomile tea can also help prevent the problem. When dealing with migraines, you’ll get best results using German chamomile (Matricaria recutita). So, when purching this herb, look for the label that says “German chamomile”. Steep two to three teaspoons of dried chamomile flowers in a cup of hot water for a few minutes. You can also add some lemon juice and honey. Strain and drink this tea three or four times a day for relief from migraine symptoms. Alternatively, prepare an herbal tea by steeping equal quantities of chamomile, horehound and meadowsweet in a cup of hot water for at least five minutes. Strain and drink it. Repeat as needed. A 2013 study published in Phytotherapy Research indicates that ginger may prove effective in the treatment of common migraines. It blocks prostaglandins, which are chemicals that promote muscle contractions, impact hormones and regulate inflammation in blood vessels in the brain. Most non-steroidal anti-inflammatory drugs (NSAIDs), too, work by reducing the production of these chemicals. Drink ginger tea a few times throughout the day until you get relief. Make sure to drink it at the onset of your headache. See Ginger Tea recipe here. Simply chewing on a piece of raw ginger root will also help treat the problem and relieve symptoms like nausea and digestive distress. Feverfew is another effective home remedy for migraines that has been used for centuries. The herb contains a compound called parthenolide that relieves spasms in smooth muscle tissue and prevents inflammation. It also neutralizes prostaglandins that influence pain signals, thereby reducing pain. Prepare an herbal tea by steeping one teaspoon each of dried peppermint and feverfew leaves in a cup of hot water for 30 minutes. Strain and drink this tea a few times throughout the day. Continue until the pain subsides. 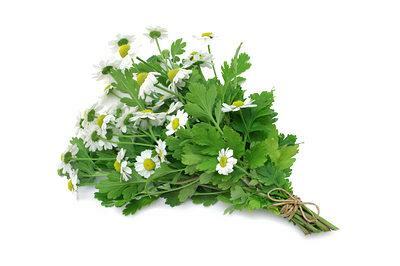 You can also eat two or three fresh feverfew leaves daily or take dried leaf capsules (50 to 100 mg daily). Consult your doctor before beginning use of a supplement. 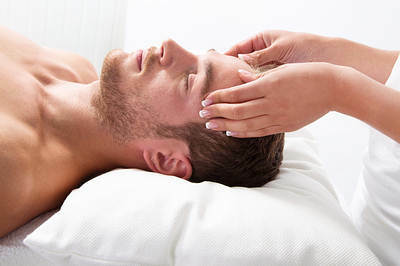 Massaging the head helps ease migraine headaches as it blocks pain signals sent to the brain. It also boosts serotonin activity and stimulates certain serotonin receptors, thereby reducing the symptoms as well as frequency of migraines. A study published in the Annals of Behavioral Medicine in 2006 also found that massage therapy helps in the treatment of migraines. Gently massage your head with your first two fingers in a circular motion. While massaging, keep in mind that there are pressure points at locations like the base of the skull, middle of the forehead (between the eyebrows) and corners of the eyes that when pressed correctly help relieve pain. Alternatively, heat two tablespoons of sesame oil. Mix in one-half teaspoon each of cinnamon and cardamom powder. Apply this mixture on your forehead and massage. Leave it on for a few hours before washing it off. Repeat either of these remedies as needed. Also, regular massage will help reduce the frequency and duration of migraines. Eating an apple as soon as you experience the warning signs of a migraine attack can help reduce the problem. 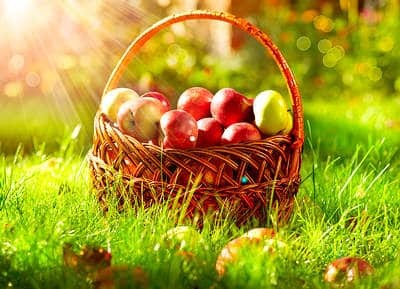 Moreover, research suggests that the smell of a green apple can also help reduce the severity of migraine and shorten migraine episodes, especially for those who find the smell pleasing. 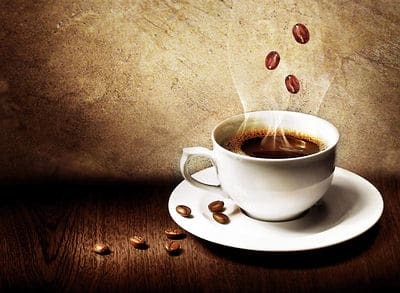 A cup of strong coffee can help reduce migraine headache symptoms. It contains caffeine that restricts blood vessels and blocks certain receptors that could be causing the migraine. To increase the effectiveness, add a few drops of freshly squeezed lemon juice as it counteracts the effects of acidic diets that contribute to cyclic headaches. Warning: Caffeine may trigger migraines in some people. Also, too much caffeine may worsen your headache or cause a rebound headache. In addition to these remedies, try muscle relaxation exercises and relaxation techniques like yoga and meditation. 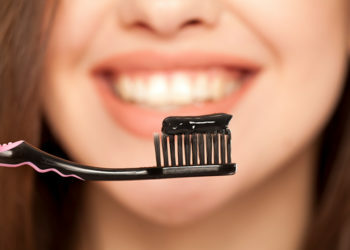 Plus, get enough sleep, eat a diet low in carbohydrates and high in protein, avoid foods that trigger your migraine attacks and drink plenty of water. Good to have this information. In every household someone or the other may need this remedy for the health problem. I suffered debilitating migraines for almost 40 years .then I cut MARGARINE out of my diet ….NO MORE MIGRAINES. If I eat away from home and have margarine I may not taste or even know I have had it but within 24 hours I am down with a migraine. Now If there is any chance of eating margarine I avoid it. you are right. I also have migraine when I eat biriyani from outside which contain margarine instead of ghee. Praise d Lord, i dont have Migraine. 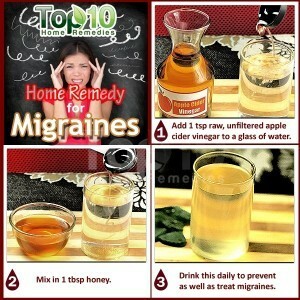 For d benefit of those suffering from ds illness, i would just like to thank you for sharing this very helpful tips. RELATED AND I NEED A BREAK! Cheese, chocolate, redwine, ANY kind of processed food (hot dogs, bologna, treat meat, spam, potted meat, etc.) Peanutbutter will trigger migraine headaches. So kind of u for imparting such a valuable remedy. I have crippling Migraines I call them that cause I cannot leave my house without getting sick I cannot exorcise or even work because I get them everyday. I am scared of doctors but I may be seeing a neurologist hopefully soon. But hopefully some of these remedies help. Also weather effects mine if it is about to rain the pressure causes me to get a severe Migraine. Yes! All of these are triggers for me! I should be a size 6 if I avoid all of my trigger foods!!! Peppermint oil I have little bottles at work and when I feel one coming on I dab a bit in my nose.. It doesn’t take it away but it’s aides in it not being a zinger.. I am going to try these. I get migraines way too often. As I sit here I am going on day 2 of a migraine on my right side of my head. This has got to go as I have an interview tomorrow for a job transfer. Having a migraine and sitting in an interview isn’t a good mix. It’s so hard to think clearly. Claiming these remedies will work. Thank you for sharing. Thank God for Google… I will try all the recommended remedies if need be. I saw my grandmother suffered with migraines and I have been suffering for the past 18 years. mine is triggered by …..missing a meal, loud noises, stress, bright lights and the list goes on. I think I will start with a cup of ginger tea. Knowledge is power….Thanks for sharing guys. This might help my mom! I don’t want to see her suffering from this pain.. I have suffered from migraine for almost 13 years from now but then thanks god because now i found this ginger tea its really make me feel free from pain…for those who have a migraine out there you should try this ginger tea it will definitely healed the pain..godbless everyone! I have what they call stomach migraines so all of these are hard for me to do considering I stay nauseous and vomit to where I end up dehydrated and have to go to the hospital. Does anyone know of anything else I can do. I am a recovering drug addict as well so pain pills are not an option. Please if anyone has any suggestions please let me know . You should get tested for allergies. My allergy migraines make me feel that way. Ginger. You get ginger lollies for pregnant women for nausea. Try sucking on that or even just a ginger biscuit or 2. If the nausea is gone my head feels half way better already. I went to a specialist who has since retired. It was discovered through special testing I was intolerant to corn, eggs, wheat and milk. I eliminated those foods. For about a week, I was VERY sick. Headache, fever, chills. I was only permitted to eat two (2) pure foods from a list provided to me at a sitting with water. I was not permitted to eat the same food more than once in three days. No more headaches. After about 3 months, I reintroduced corn, eggs, wheat and milk one at a time. Corn and wheat were the problem. My doctor told me most people would not go through the hassle of this type of treatment. Most will give in to cravings or think a drop wont matter but it will. Another problem is that this stuff is in everything. The exact reason is unknown. (1) I’m 46 and I suffered from hyperactivity as a child. I took ritalin. Food may have been the problem then too. (3) After taking Effexor for about 6 months I notices I could eat anything and not get a heachache suggesting brain chemistry may play a role. Comment:Hello there av suffered from migraines for the last 7yrs now av done all the tests n scans but nothing is seen, lastly i did an EEG that showed poor blood flow to the brain. Been on painkillers n muscle relactants , the throbbing goes down only when i take pain relievers . Sadly mine goes for 24/7 year in year out but av Never known what triggers it. What is a TMA test and whom shall I request the test from? wonderful information provided thank you so much! I have migraine too. It last about 2 hours Mine is go a way after vomiting few times. To prevent dehydrate I drink 2 water glass before vomit. Then I can vomit easily. After that you don’t need go to the hospital for dehydration. To the food list I like to add vanilla flavor milk and cold jelly. I suffer migraines daily. I am a student in college and the fluorescent lights in the classrooms KILL me. not like i can ask the professor to turn the lights off! wish i could sit in the classroom wearing sunglasses without being judged 🙁 Every single day I leave school and have work or studying to do and 9/10 i need to do it while suffering a migraine and vomiting. its affecting my life in every single way possible. i do have other triggers besides the lights but its certainly a huge one for me. i am prescribed Imitrex to take when i feel one coming on but cannot take more than 3 a week. im hoping some of these remedies work for me. I suffer from migraines from time to time. It’s the type that slowly worsens to the point of severe nausea. Until recently the only effective treatments I’ve known are sleep or painkillers (paracetamol). If the migraine has progressed far enough by the time sleep becomes an option, the pain and nausea will make it difficult to fall asleep. Vomiting once or taking a small amount of painkillers is the usual fix for that. Otherwise the strategy is to lie on the side and keep my head in the same position for much longer periods than I usually do. Anyone who have had this will know why. The most important things I can do to prevent migraines is to eat (the breakfast is cruical) and sleep at the right times, and have moderate physical exercise at least every other day. Other migraine triggers (that typically only work if I failed with above) include not drinking enough, intense physical activity, laughing too much (really), turning my head to the side for too long (basically my head becomes sensitive to movement and change in pulse, breathing etc.) or eating certain foods that leave an unpleasant aftertaste (feels similar to the bad taste I experience when the migraine has progressed to a certain point) e.g. yoghurt (or certain brands of it?). Whenever I feel a migraine coming now, I simply start taking Fisherman’s Friend (original, sugar-free to be precise). As long as I maintain its taste and cooling effect I’m good. If combined with deep and slow breathing it’s even better. This has completely replaced my need for painkillers. Even though it may not always make it go away completely like painkillers or sleep usually does, it’s so effective at removing discomfort and preventing progression of the migraine it feels like any other day, although I should refrain from physical activity until it’s completely gone. I suppose this lozenge (containing menthol and eucalyptus oil) may be similar to the peppermint oil mentioned in this article, and similar products sharing key ingredients might do the exact same thing for all I know. guys just try one simple remedy. i m 40 year old woman & suffering from migraine since 30 years. i tried almost everything but nothing helped me.then i tried this home remedy which is not expensive at all and quite simple & trust me its been 6 months now i didnt get migraine attack once also. otherwise it used to be like 15 days in a month. the remedy is that just apply 8 drops of mustard oil ( rai ka tail) in your one nostril with dropper and lie down straight for 5 mins. do this twice a day for 5 days every month and your migraine will go forever. no need to heat the oil just apply normal room temperature 8 drops mustard oil in any one side nostril. if you have applied right side in the morning then in the evening apply on the left side. its as simple as that. its very very effective. only problem is that it burns like hell for 1 min in the nose but dont worry its safe. I don’t get migraines, but they do NOT sound like fun. Get better soon, all of you!